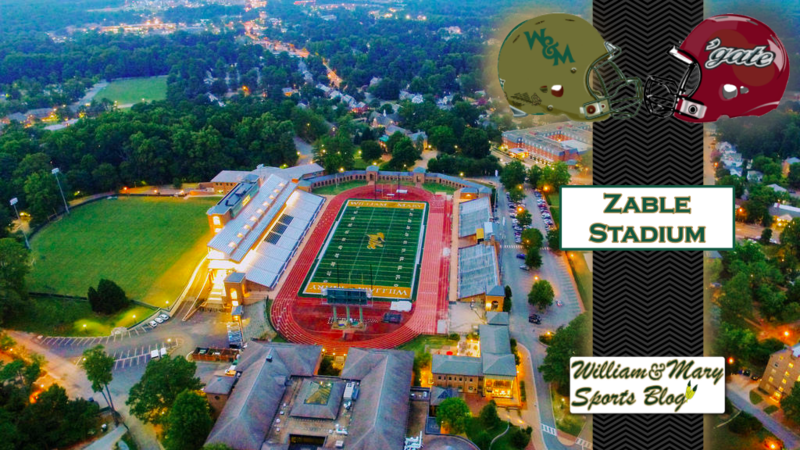 FINALLY, the day has come when William & Mary (1-2, 0-1 CAA) will play a game at Zable Stadium. After opening the season with a win (on the road) against Bucknell, the Tribe then travelled to play #12-ranked Virginia Tech and #2-ranked JMU in back to back weeks. 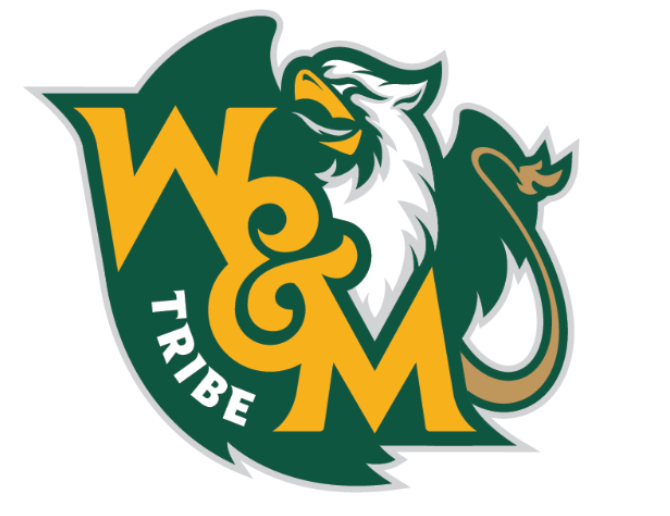 Don’t forget that W&M’s first home game, originally scheduled for two weeks ago against Elon, was cancelled due to Hurricane Florence. That being said, the schedule gets easier now (well, sort of). In this week’s contest, W&M will face yet another opponent with a number in front of it, #23 Colgate. Up to this point, the Raiders have had a strong season; in fact, they’re the odds-on favorite to win the Patriot League. The Raiders will pose a tough test for W&M, but we expect this game to be truly competitive on Saturday. As you can see in the poll below, Colgate is no pushover — and Patriot League members know it. The Raiders were picked almost unanimously to win the league, receiving 11 of 14 possible 1st-place votes. To put this in perspective, Bucknell, a team the Tribe defeated 14-7, was picked to finish 5th in the Patriot. The Raiders have lived up to the hype so far. The team is ranked #23 in the FCS coaches poll and #24 in the STATS FCS Top 25. Their entrance into the top 25 is well deserved, as the team is currently 3-0, with victories over Holy Cross, then-#20 New Hampshire, and Lafayette. Their victory over CAA foe New Hampshire (by a score of 10-3) came when UNH was without preseason CAA Player of the Year QB Trevor Knight, but should still be regarded as an impressive win nonetheless. Make no mistake about it, this team is led by its defense, which has given up only 20 points in three games. Colgate is tied for 1st nationally in scoring defense, allowing opposing teams just 6.7 points per game. Yes, you read that correctly, #1 nationally. The team they are tied with? Oh yeah, you may have heard of them. It’s North Dakota State. The Raiders are also top-10 in the nation in Total Defense and Passing Defense. In summary, it’s safe to say that W&M QB Shon Mitchell will be tested early and often in this game. 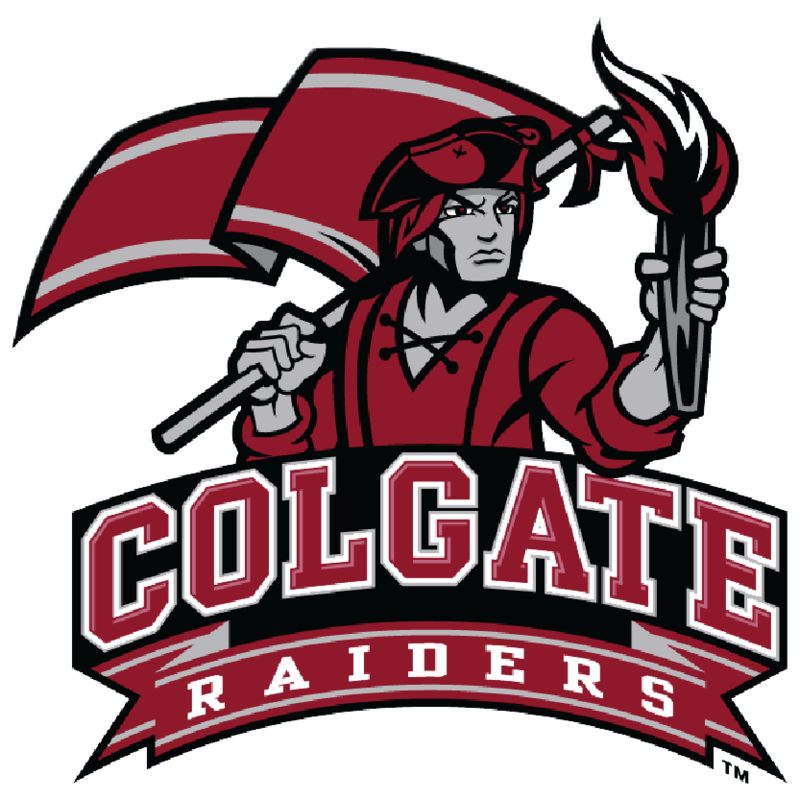 Colgate is coming off a 45-0 thrashing of Patriot League rival Lafayette this past week, in which the Raiders dominated all three phases of the game. Offensively, Colgate averages 26.33 points per game. To put that number in perspective, W&M is averaging just 10.3 points per game. The Raiders’ offensive unit is led by its rushing attack, which averages 166.7 yards per game on the ground. Overall, Colgate is a well balanced team. Typically, CAA teams dominate Patriot League foes (W&M hasn’t lost to a Patriot league team since 2012), but this is not your father’s Patriot League team — this is the cream of the crop. It will be a battle from the first whistle this weekend. 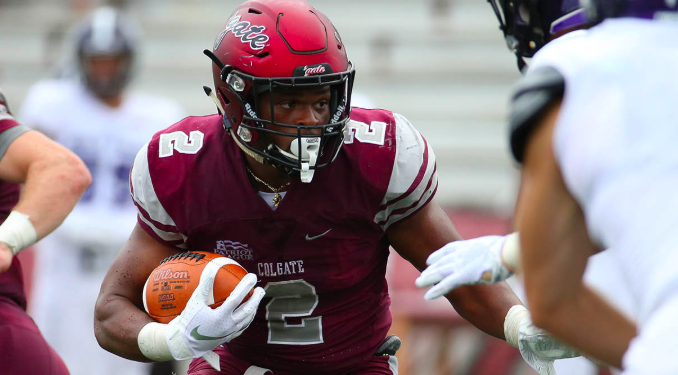 RB James Holland Jr. (#2): Holland Jr. is the leading rusher on Colgate’s offense, currently ranking as #2 rusher in all of the Patriot League. He has rushed for 233 yards and 2 TDs, averaging 4.9 yards per rush (77 rushing yard per game). William & Mary’s defense is allowing 222 yards rushing per game this year, which is actually more than it gives up through the air (207 yards per game). If W&M fails to contain Holland, it might be a long night for the Green and Gold. QB Grant Breneman (#15): Similar to Ben DiNucci (JMU’s QB from last week), Breneman is a dual-threat QB. The sophomore QB has completed 61% of his passes for 393 yards and 2 TDs (and 1 INT) through three games, boasting an impressive QB Rating of 136.87. And as noted earlier, he can run too. He’s actually second on the team in rushing attempts, with just three less attempts than Colgate’s #1 rusher; so far this season, Breneman has run for 76 yards and 2 touchdowns. William & Mary’s stellar trio of linebackers must do their part in shutting down #15 to limit his dual-threat ability in this contest. LB T.J. Holl (#21): T.J. Holl is one of the undisputed leaders of this year’s Colgate defense. A senior linebacker, he leads the team in tackles with 24 through three games. He’s also second on the team in tackles for loss (4.5) and sacks (2). Holl is a big reason why Colgate’s defense is currently one of the best in the country. He will look to contain W&M’s plethora of running backs this week, including the likes of Albert Funderburke and Owen Wright (with Nate Evans out injured with a concussion). LB Nick Wheeler (#92): Wheeler is another linebacker for Colgate that consistently wreaks havoc on opposing offenses. He and Holl are the leaders of this unit, and they do not disappoint. Wheeler not only gets to the ball carrier (#2 on the team in total tackles), but he also gets to the quarterback. He is currently first on the team with 6.5 tackles for loss and 4 sacks in the first three games. Wheeler will look to ruin Shon Mitchell’s Saturday, as the W&M offensive line will need to account for #92 on each and every play. Get Off to a Quick Start: We’ve said this before, and we’ll say it again. William and Mary absolutely has to get off to a strong start if it wants to win this game. The team was unable to get off to good starts last season, and so far this year, it’s largely picked up where it left off last year (not good). In front of what should be a strong home-opener crowd at Zable Stadium, W&M absolutely needs to give the fans something to cheer for early, thwarting any confidence emanating from this Colgate Raiders team. Stop Colgate’s Rushing Attack & Force Colgate’s QB to Throw: As mentioned, Colgate averages more rushing yards than passing yards per game. W&M is currently giving up a paltry 222 yards rushing per game to opponents. The Tribe must find a way to keep Colgate’s powerful rushing attack, comprised of RB Holland and QB Breneman, from breaking off plays with their legs — force Breneman to throw the ball. While he has only thrown one interception so far this season, we believe that’s largely due to his lack of passing attempts, rather than his gifted accuracy. Colgate prefers a ground-and-pound type of game backed up by its #1-ranked defense (who could blame them? ), rather than having to play in a shootout through the air. W&M needs to get Colgate out of its comfort zone and make them throw the football. We trust W&M’s seasoned defensive backs to make plays. Take Chances Offensively: This seems like almost a battle of David vs. Goliath when talking about William & Mary’s offense vs. Colgate’s defense. The Tribe’s offense averages a meager 10 points per game through three contests — barely mustering 14 points against Patriot League opponent Bucknell in week one. Colgate, on the other hand, boasts one of the top defenses in all of the FCS. It will likely be difficult for W&M to move the ball, so the unit must take chances. Trick plays, going for it on 4th down, 2 RB sets, Dedmon out of the backfield, W&M has to do something to shake this offense up and throw Colgate off guard. Watch: Streaming via Tribe TV — find the link here! This game will not be easy. The W&M offense needs to do just enough against this tough Colgate defense to put points on the board. Expect a lot of DeVonte Dedmon early and often. Despite the Tribe defense giving up 222 yards per game on the ground, the numbers are inflated following two blowout losses over Virginia Tech and JMU. W&M’s talented group of linebackers will do their part in shutting down Colgate’s rushing attack, and the defense will hopefully force an interception or two. In the end, W&M picks up a much needed victory on Family Weekend.